Over the summer of 2017, our 4-year-old son Sam came down with a high fever that lasted about a week. Seemingly recovered, a day or two later he awoke as normal, snuggled and watched morning cartoons. But shortly after, and completely unexpectedly, Sam began to seize uncontrollably and stopped breathing. After emergency assistance arrived, he stopped seizing and regained consciousness. We took him to Seattle Children’s Emergency Department to get checked out anyway. There, he was initially given a clean bill of health and we learned that this kind of thing happens to 1 in 25 children with a high fever. However, minutes before we checked out of the hospital, Sam suffered from a series of seizures that would not stop. 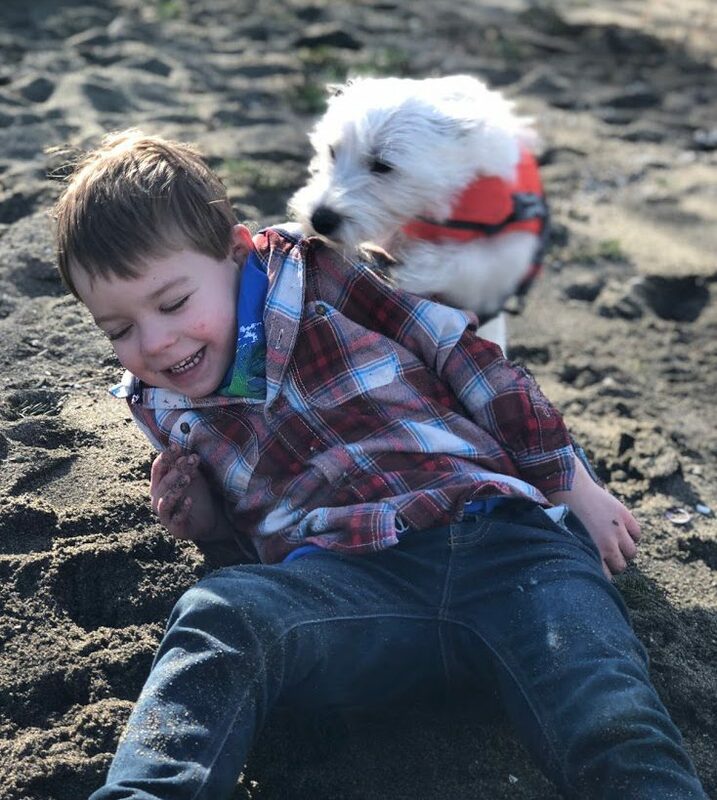 Once at Seattle Children’s, Sam was unconscious and intubated for two weeks as doctors initiated the ketogenic diet to stop the continuous seizures he suddenly developed. Our timing and location were fortuitous. 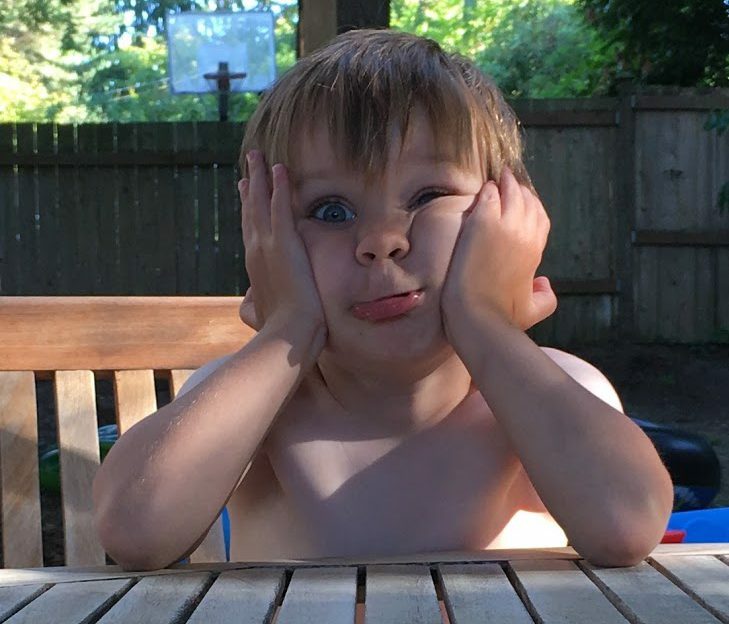 We luckily got Sam admitted to a world-class hospital within an hour of his first seizure, and then when he started seizing uncontrollably, we had instant access to a massive team of experienced specialists from Seattle Children’s Neurosciences Center. After various tests, scans and examination by the neurology team, Sam was diagnosed with a very rare condition called febrile infection-related epilepsy syndrome (FIRES). FIRES is a condition that affects children of school age in which they suddenly develop frequent or continuous seizures – up to hundreds per day. This life-threatening acute phase can last months. One of the problems with FIRES is that it is generally misdiagnosed. By the time a correct diagnosis is reached, the damage to the brain is done. Sam was diagnosed within a few hours of admission, and treatment began immediately, minimizing the amount of damage and increasing his chance of a recovery. Sam is one of the very earliest cases where what is known as the ketogenic diet was used to stabilize his uncontrollable seizures. In fact, treatment was started so quickly that Sam is now the subject of at least one research paper. Hopefully this information will help other children who are diagnosed with this terrible condition. The ketogenic diet is based on fats and proteins with very limited carbs and sugars. This diet changes the blood chemistry of the brain. The brain starts to run off of fat cells instead of sugar cells, substantially reducing the chances of further seizures. Within 48 hours, the team at Seattle Children’s had Sam in ketosis – the therapeutic state where his brain taps into fat instead of sugar. Maintaining ketosis through the diet is the key to helping Sam’s condition stabilize, and would allow us to wean him off an extensive cocktail of anti-seizure medications. David celebrated his birthday at Seattle Children’s by getting to hold Sam for the first time since he was admitted. 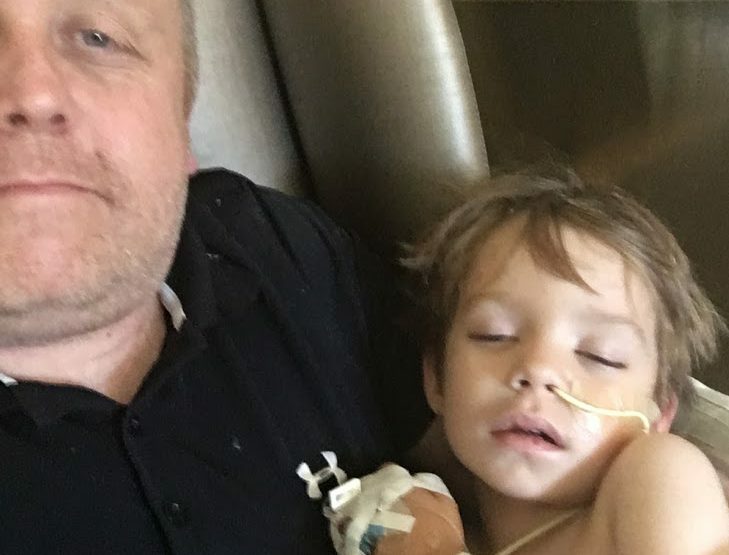 For two weeks after his diagnosis, Sam remained unconscious and intubated in the Pediatric Intensive Care Unit at Seattle Children’s because he wasn’t able to breathe on this own until the seizures were under control. While the ketogenic diet was helping protect Sam’s brain from further injury, by the time he regained consciousness – about three weeks after admission – he had suffered from massive weight loss, muscle atrophy, memory issues and was clinically blind. Sam underwent something akin to a massive concussion, which will require many months, if not years of rehabilitation. Recovery in the hospital was a long and arduous process, but Sam worked through it with high spirits and more perseverance than we had any right to expect. Gradually, over time, his motor control and eyesight began to return. At times, he even had the entire neurology care team laughing because of his silly antics in the hospital. When Sam was discharged from the hospital at the beginning of September, albeit still a little unsteady on his feet, he ran out to meet our car. He has been recovering every day since. We know we’re extremely lucky. For the majority of those that survive the acute phase, most have significant cognitive disability, causing their development to stop. Each day we see more and more of the little boy we thought we had lost. We believe much of the progress Sam has made is due to being started on the ketogenic diet so early. Sam making new friends eight months after his diagnosis. We believe much of the progress Sam has made is due to being started on the ketogenic diet so early. Since Sam’s diet is a large part of his treatment, any small deviation is enough to increase the chances of seizure. 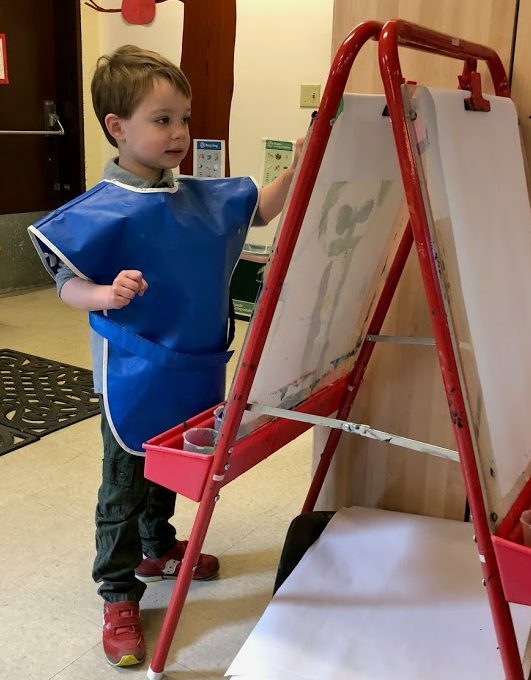 Before we left the hospital, the ketogenic diet team at Seattle Children’s helped us work out the kinks of his new diet. They taught us how to get the portions right by having us order off the room service menu as part of our “training.” They also gave us tips for avoiding hidden carbs and sugar in common items like toothpaste and shampoo. We have learned how to make ketogenic fat bombs – a high-fat snack made of coconut oil and butter. Equally important, we have learned what to do when your child sneaks into the refrigerator and accidentally eats nearly a dozen fat bombs. Though we can laugh about it now, Sam essentially overdosed on fat! Thankfully, the ketogenic diet team was right on it when we called in a panic. With the help of the team, we have worked through picky eating phases – Sam recently decided he didn’t like eggs – and identified other nutritional needs to balance his diet. More than anything else, Sam was most excited to go back to school. The staff at his preschool have been an incredible source of support and make sure Sam sticks to his ketogenic diet at school. More than anything else, Sam was most excited to return to school. During his rehabilitation, this was his primary motivation. In physical or occupational therapy, we would tell him, “Do well and work hard here, and we can get back to school.” He missed the company of his friends and other children terribly. Now eight months later, Sam recently spent his first day in preschool without one of us there to keep a close watch on him. He really wants to start hip-hop dancing classes – a talent discovered in the hospital while delivering rousing routines to the “Peanut Butter & Jelly” song for his doctors and nurses. Dance really helped him through his hospital stay, and we are working with American Dance Institute in Shoreline to have Sam join their dance classes while accommodating his medical needs. Although we live with the possibility that he may suffer from occasional seizures, it is incredibly unlikely he will have the kind of seizure flurry that put him in hospital in the first place. 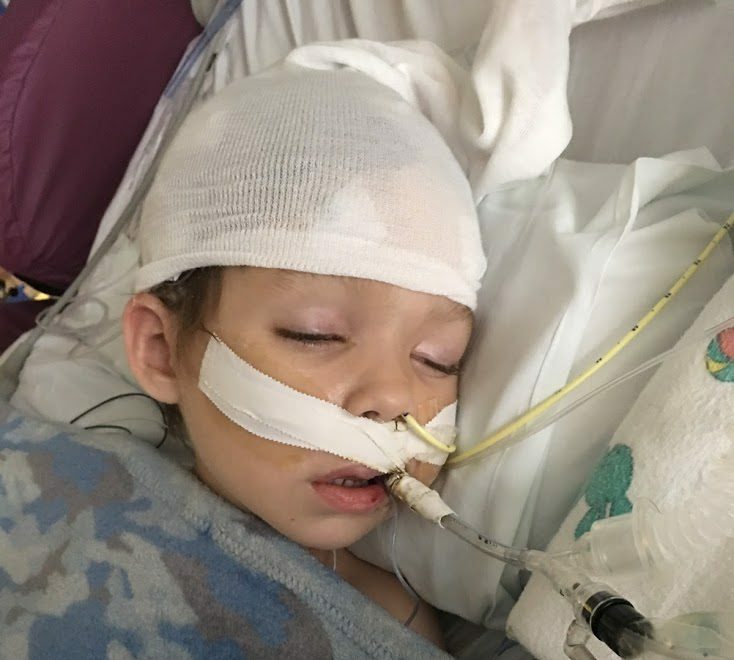 Under the guidance of Sam’s neurologist, Dr. Jason Lockrow, we are in the process of weaning him off the anti-seizure medicines he still takes – a big step forward in his recovery. We all love Sam more than anything. He’s the luckiest and sweetest little boy ever. Throughout the entire ordeal and our ongoing rehabilitation, Seattle Children’s has been incredible. The staff has been amazing, including us in every single decision and treatment. They are friendly, supportive, and for lack of better words…just nothing short of amazing!